Get the full eBook now only for Rs279 (Rs 50 Discount!) HURRY UP!! 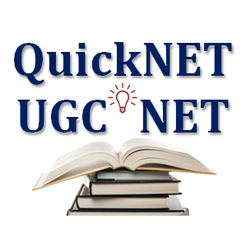 This comprehensive eBook is specially developed for the candidates aspiring for National Testing Agency (NTA) UGC NET 2018 & 2019 Exam (For Compulsory Paper-I) Teaching and Research Aptitude. This book includes Topic wise 6000+ Practice Questions (Solved) plus previous 12 Years Question Papers (Solved) for the purpose of practice of questions based on the latest pattern of the examination. Detailed Explanatory Answers have also been provided for the selected questions for Better Understanding of the Candidates. 9. Higher Education System: Governance, Polity and Administration; Structure of the institutions for higher learning and research in India; formal and distance education; professional/technical and general education; value education; governance, polity and administration; concept, institutions and their interactions. How to get this awesome book? Click on the Buy Button and complete the checkout. You will get the direct link to download the ebook.